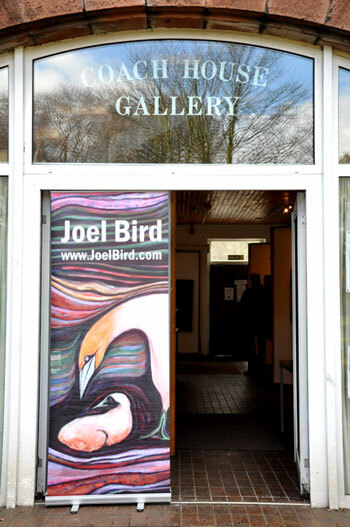 More lovely paintings from Joel Bird are on show for this week only in the Coach House Gallery in Calderstones Park. Not all birds this time, there are some but there are also new landscapes including a series of 4 paintings of Joel’s allotment in London. He’s taking some of these works over to the renowned Tyme Gallery, Philadelphia next month, his third exhibition there in 3 years. 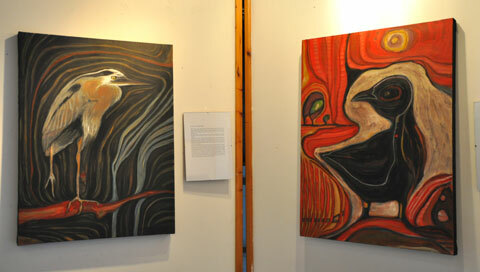 For this exhibition Joel focuses more on our harmony with the natural world. 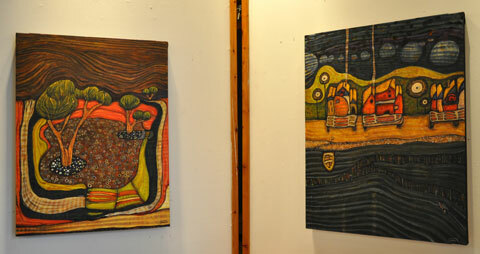 The works show landscapes and people interacting with their environments. The lines of flux and flow are an attempt to reconcile our duality as nature has.